Now the helicopters are fully ready for shipment to India, where they are already awaited by NARZ specialists. There they will again pick up the helicopters, bring them to a flying state and give it to the Indian side. 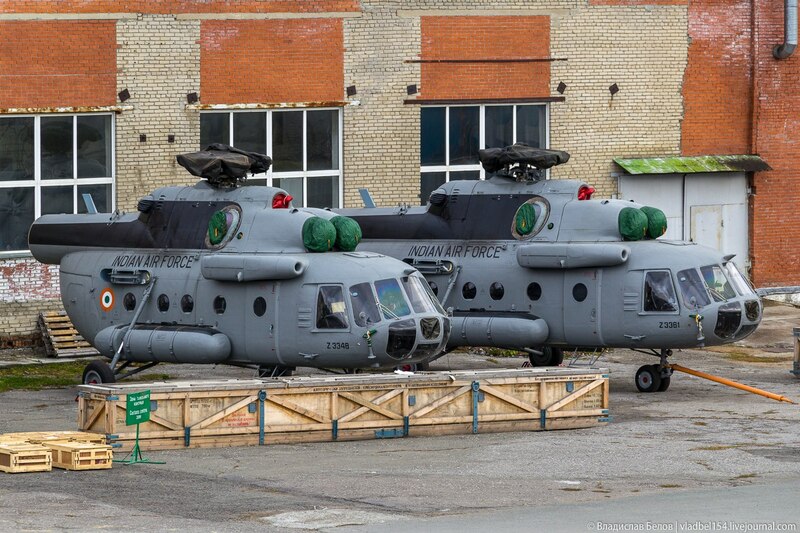 In total, the capacity of the Novosibirsk aircraft repair plant will be repaired 30 Indian Mi-17-1B helicopters. Repair is broken into lots: only six batches - five cars each. The delivery of helicopters is carried out by the Volga-Dnepr Airlines on An-124 Ruslan planes. Note bmpd.The Indian Air Force received 40 Mi-17-1B helicopters manufactured by JSC Kazan Helicopter Plant (KVZ) under a contract worth $ 170 million, concluded in May 2000 by Aviaeksport, deliveries were made in 2000-2001. Under a separate contract with the Federal State Unitary Enterprise "Promexport", small arms and missiles were purchased by the Indian side for these helicopters. Another five Mi-17-1B helicopters were received by India from KHZ under an additional agreement in 2004. 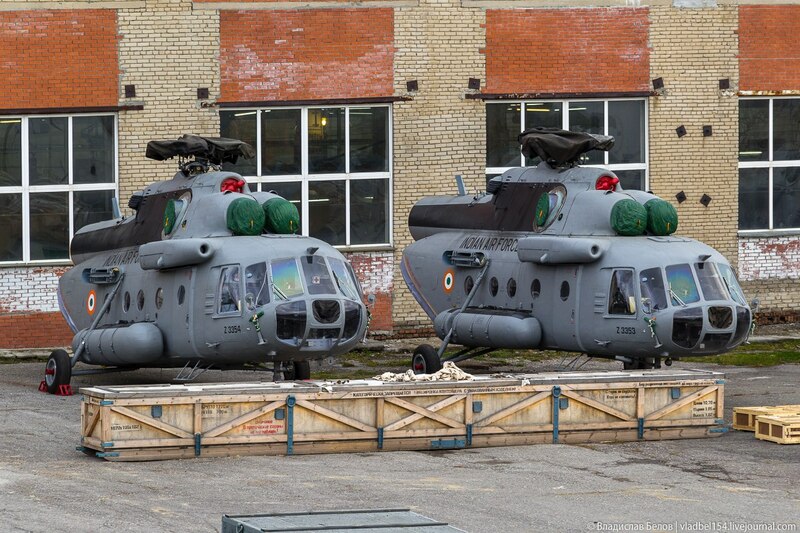 Judging by the given "VKontakte" photos, the first five MI-17-1B helicopters of the Indian Air Force, who completed repairs at NARZ, have Indian military numbers Z3345, Z3348, Z3353, Z3354, Z3361. Abingdonboy, Sancho and Gessler like this. Because this is not V5. India and Russia are set to sign a contract soon for the overhaul of three Mi-26 helicopters for the Indian Air Force, with Moscow also offering long-term maintenance service for IAF's Mi-17 choppers, a Russian official has said. Ka-226 is required. It's a twin engine while the LUH is single engine. The principle reason why the navy has decided to go for imports for this class instead of LUH. nik141993, Sancho and Gessler like this. “It was probably the aircraft that was shot at the most,” says Air Marshal P.P. Rajkumar about the Mi-8 helicopter. He has logged more than 3,000 hours on the aircraft and has no hesitation in declaring that the most-produced helicopter in the world is a colossus. The Mi-8 covered itself in glory and bullet wounds in the Siachen, during the IPKF operations in Sri Lanka and a UN Mission in Congo, besides coming under fire from insurgents in the North East. It has been part of several scientific expeditions to Antarctica. Now it is being phased out. The emotional bond we forged with the Mi-8 (also called Pratap in the IAF) was strong. Most of us started flying it in our 20s and probably associated more with the helicopter than with anyone else,” says Rajkumar. He knows engineers who remember the numbers of the aircraft they worked on even today long after they have forgotten their colleagues’ names. Somnath recalls how two Mi-8s were modified and made ready for the Shimla Agreement in 1972. One was to fly President Zulfikar Ali Bhutto of Pakistan and his daughter Benazir Bhutto, and the other Prime Minister Indira Gandhi. The original purely functional bucket seats were replaced with fancier seats re-appropriated from the L-1049 Super Constellation. “The Super Constellations were lying with Air India and they were only too happy to hand over eight seats to us,” says Somnath. The seats were installed in the Mi-8s after careful and crucial modifications and the VVIPs made that 20-minute flight from Chandigarh to Shimla and back in comfort! For Group Captain Ravi Kumar, an engineer, an incident that stands out in his memory is a weekend at Yelahanka, Bengaluru. “An Mi-8 was returning to base from an assignment and, to our horror, we saw its left main wheel was missing as it approached for landing. It must have dropped off mid-flight! 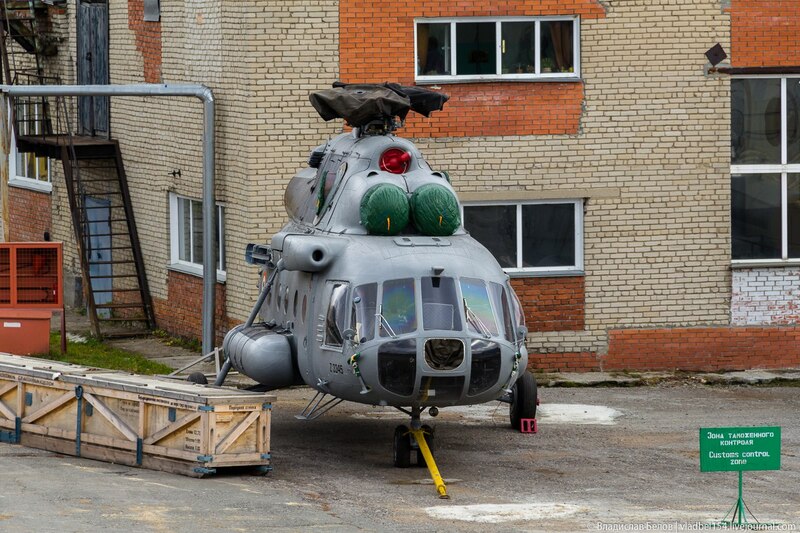 We took a snap decision to do something perhaps never done before; we fixed the wheel on the helicopter even as it hovered and the Mi-8 landed, safely!” Ravi Kumar calls the Mi-8 an engineering marvel, robust and simple in design and technology. The helicopter has flown thousands of sorties during natural calamities and Wing Commander Yella Reddy was one of the pilots who scrambled on receiving news that a bus had been swept into a river 60 km north of Cudappah at a place called Chagalamarri. The water had flooded the bus and its 65 occupants had clambered on to its roof where they spent the night.